Comments: Comments Off on Tackling Resistance to Change – Is your organisation ready? 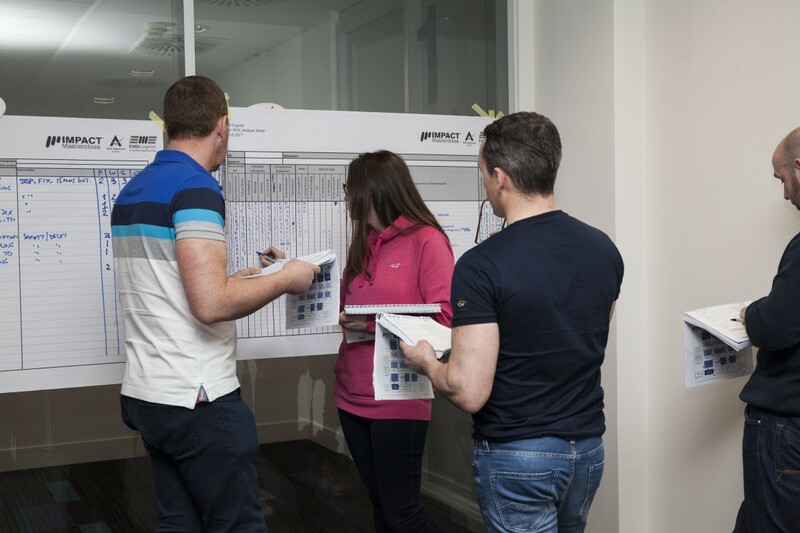 Comments Off on Tackling Resistance to Change – Is your organisation ready? 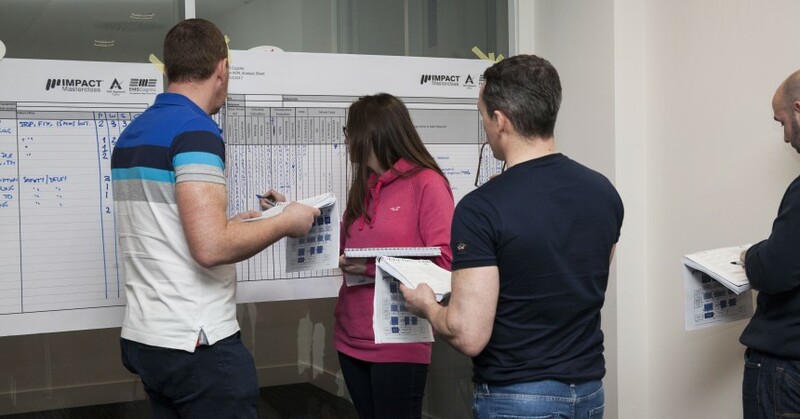 Millions of pounds are invested annually in change programmes – in process improvements, lean transformation and asset reliability – all in pursuit of cost reduction, improved efficiency and longer-term profitability. But, before you embark on a costly, if necessary, change exercise you may want to find out to what extent the people in your organisation are ready for it. After all, they are the ones who need to understand the reasons behind your change effort so that they can embrace your ideas and implement them. To be sustainable, change needs to happen across all levels of an organisation. It is only by opening up lines of communication between practitioners and managers and between different functions that attitudes can change and new ways of working can be adopted. 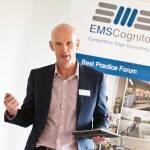 Be warned – much greater emphasis needs to be placed on understanding the culture within the organisation than on packaging the tools and techniques you use to make the transition. The greatest barrier to new ways of thinking is that old ways of thinking are so ingrained that we cannot see that there is an alternative. Old ways of thinking evolve over time masking our view of how things are and how easy it is to make a successful change. The onset of old ways of thinking is analogous to a set of blinkers being fitted to our heads and slowly but surely being tilted inwards so that our field of vision becomes narrower and narrower as experience grows. Inverted triangle thinking is about opening up the field of vision and removing the blinkers so that change becomes clear and in-focus. So what is inverting the triangle all about? Ask any manager or team member in an organisation to draw out the organisational structure within their business and they will, as sure as fate, draw a triangle with the narrow part at the top of the page and the broad part of the triangle at the bottom of the page. Almost certainly, at the top of the triangle they will place the managing director or business leader and down at the bottom of the triangle they will show the workers who carry out the mostly manual tasks within the organisation; usually, the operators who use the equipment to manufacture the products that the customers buy. 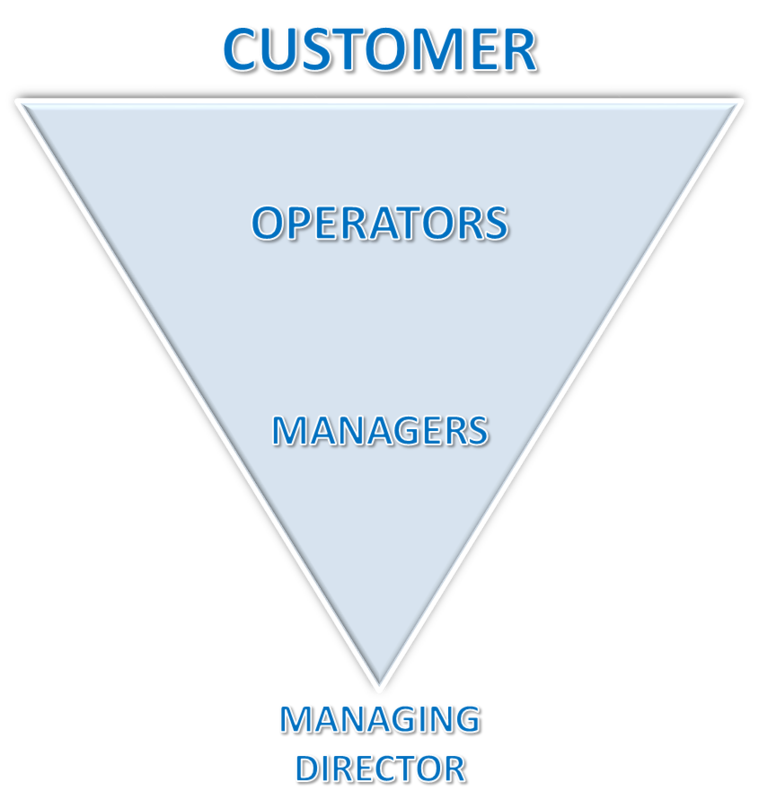 Talking about customers, when this person has drawn the organisation triangle they will almost certainly have missed off the customers from the organisation. Few people see, or fail to realise, that their customers are actually part of the organisation. So, why is this a problem? Well, you have to go back into the history of why people believe their organisation is like this to understand why it constrains the way we work. It goes back into the time of the industrial revolution when this consisted of Mills, and Mills were owned by the rich gentry. The mill owners wanted their mill to be run in a certain way and so employed managers who would take instructions from them and run the mill in the way that they saw fit. In turn, these managers employed a group of supervisors who were told what to do, when to do it and how to do it by the managers. Supervisors needed the support of charge-hands following their instructions and lastly, the lowly operators waited for the chargehand to tell them what to do and when to do it. Correspondingly, the mill owner lived in a very big house at the top of the valley looking down on his managers who lived on the sides of the valley who looked down on their supervisors, charge-hands and operators who lived in the bottom of the valley close to the factory in significantly smaller and less grand houses. This is also referred to as a Command and Control organisation. In a command and control organisation, nothing happens until someone is told to do something. This is all very well for a military type of organisation but, in industry, it is very limiting to innovation, creativity and teamwork. Inverted triangle thinking starts by suggesting that every employee is capable of contributing significantly to the organisation if they are in an environment which encourages them to do so and supports them in doing so. So inverted triangle thinking starts by putting the customers at the top of the page in the broadest part of the triangle. Next up, the operators who make the customers products. Next question, how can we as charge-hands, supervisors or team leaders support these operators to do their job consistently well and to improve how efficiently they do the job? Now, for the managers; how can we support our supervisors, charge-hands and team leaders so that they get the best from their operators. And lastly, as mill owner how can I ensure that my managers have all the freedom, skills, support and encouragement they require to run the teams as well as possible? So in this case, the mill owner or business owner, or in modern-day terms; managing director, sits at the bottom of the page supporting the whole organisation. In our next post, we will focus on the benefits of inverted triangle thinking and the top 5 indicators on how to recognise how far along the journey of change your organisation actually is.